Are You a Good Samaritan or Bound by Religious Rules? 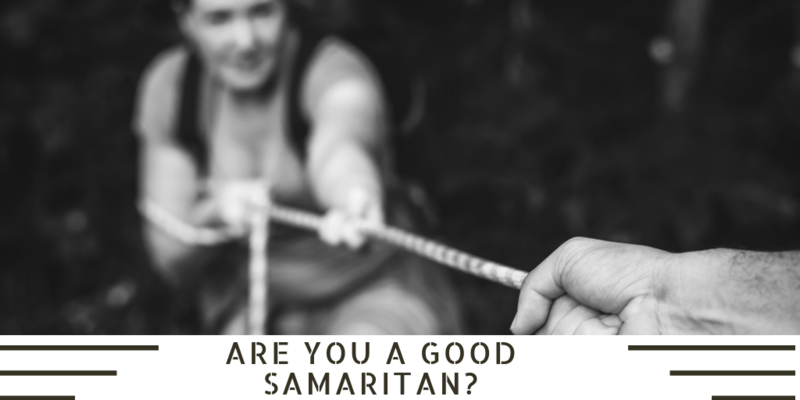 HomeBlogThe BibleAre You a Good Samaritan? The answer is simple. There are two steps. Love God and love your neighbor as much as you love yourself. It’s that easy. Love God and love others. Then you’ll have eternal life. Then Jesus gives him a parable, that many people call the parable of the Good Samaritan. This is how it goes. Robbers beat up a man and leave him for dead. A religious leader (a priest) walks by and ignores the man. Later another religious person (a Levite) does the same. It could be they’re in a hurry or that helping this hurting stranger will somehow cause them to break one of their religious rules. Or it may be that they just don’t care. Regardless they fail to help their neighbor in need. Then a religious outcast (a Samaritan) comes upon the wounded man. The Samaritan attends to the man’s injuries, takes him to a safe place, and pays someone to look after him. Jesus then tells the theologian to go and do the same thing. Who are we in the story? Are we religious insiders who fail to help our neighbors in need, or are we someone who pushes religious rules and people’s expectations aside to do what is right? Or may it be we’re like the theologian who would rather focus on words then action. Though I want to be like the Good Samaritan, I fear that too often religion gets in my way.